Узнать больше о важных этапах жизни компании Wibu-Systems, основанной в 1989 году. company, WIBU-SYSTEMS K.K., in Tokyo, Japan, which adds to the existing subsidiaries in Europe, U.S., and the Asia-Pacific region. The new Far Eastern stronghold is going to provide dedicated expertise to local software-powered businesses and intelligent device manufacturers. After three years of collaborative research between its 21 members, the IUNO project (the German national reference project for cyber-security in Industrie 4.0) has delivered innovative use cases. In particular, Wibu-Systems took part in three live demonstrations: a secure and cloud-based technology data marketplace with TRUMPF, the hardening of Balluff’s OPC UA reader with a CodeMeter secure element, and IP protection and licensing with an Infineon TPM. 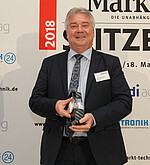 Oliver Winzenried was chosen as one of the “Managers of the Year 2018” in the “Pioneers & Innovators“ category in a survey of more than 7,000 readers of Markt&Technik, the German weekly electronics magazine. At the award ceremony, he announced the forthcoming opening of the House of IT Security in Karlsruhe, Germany, which will gather other enterprises, start-ups, and researchers in the pursuit of greater technological goals. To prove the robustness and validity of Blurry Box, we held a global hackers’ contest; hundreds took part and worked hard to crack a game protected with Blurry Box over three full weeks. The independent jury consisting of leading IT security scientists proved that no single exploit was fully successful. The sum of €50,000 that was originally offered for a complete hacking solution went towards further research and development. Blurry Box cryptography technology, now fully integrated into Wibu-Systems’ CodeMeter protection, licensing, and security platform, received the Product of the Year award from Electronic Product magazine. The jury took into account the need for greater security that today’s digitized industrial world depends on to realize the complete vision of Industrie 4.0. Unprecedently, CodeMeter has received acclaim in two SIIA Business Technology CODiE Awards categories, winning as the Best Content Rights & Entitlement Solution and being named finalist in the Best Endpoint Management Solution category. This achievement underlines CodeMeter flexible and agnostic capability to serve the traditional software industry and the Industrial Internet of Things alike. Wibu-Systems has signed up three new major memberships with Dell IoT Solutions Partner Program, Plattform Industrie 4.0, and OSADL, all meant to reinforce our commitment towards secure IoT deployments, create new momentum for the digital transformation, and strengthen open innovation and open source projects with software protection. The Industrial Internet Consortium releases the Industrial Internet Security Framework, a compendium for IoT architects that defines the major characteristics of trustworthiness characteristics: Security, Safety, Reliability, Resilience, and Privacy. As one of the primary authors, Wibu-Systems has co-authored the publication and taken part in a number of high profile panels worldwide. Wibu-Systems becomes an active member of the Trusted Computing Group (TCG), the Alliance for Industrial Internet (AII) in China, and the European Cyber Security Organization (ECSO). Wibu-Systems builds a solid multi-level penetration strategy for CodeMeter and establishes partnerships not only with software publishers and machine and device manufacturers, but also with IoT boards, gateways, modules, Embedded Computing Technology systems, and microcontrollers vendors. 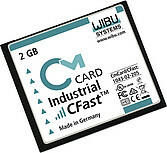 Recognizing that Industrie 4.0 can only take off if holistic and sustainable security architectures are implemented, Wibu-Systems has successfully implemented a security framework for intelligent production with the Research Department of Innovative Factory Systems of the German Research Center for Artificial Intelligence (DFKI). The key finder prototype production line at SmartFactoryKL offers all manufacturing vendors the opportunity to test security preventative security measures. With a number of successful use cases in the healthcare field in its arsenal, Wibu-Systems first exhibits at Compamed/Medica, Duesseldorf, Germany, and shows medical suppliers and healthcare product developers how CodeMeter leverages innovative cyber security solutions and software-based business models in line with the economy and technology changes of our times. Wibu-Systems названа победителем SIIA Content CODiE Award в категории "Best Content Rights and Delivery Solution"
Финалист SIIA Codie Award в категории "Best Digital Rights Management Solution"
Первый в мире хакерский чемпионат для CmStick (призовой фонд составляет 32768 евро или US $ 40000). CmStick не взломан!